Enjoy your favorite local channels with the Xbox One Digital TV Tuner. Pause and fast forward playback, and snap live TV right next to a game. With the OneGuide, your top channels, gaming and entertainment apps, and movies are right where you want them. You can even stream live TV to a nearby tablet or phone while you play. Simply connect your digital TV antenna or coaxial outlet, and never miss a moment of the action. 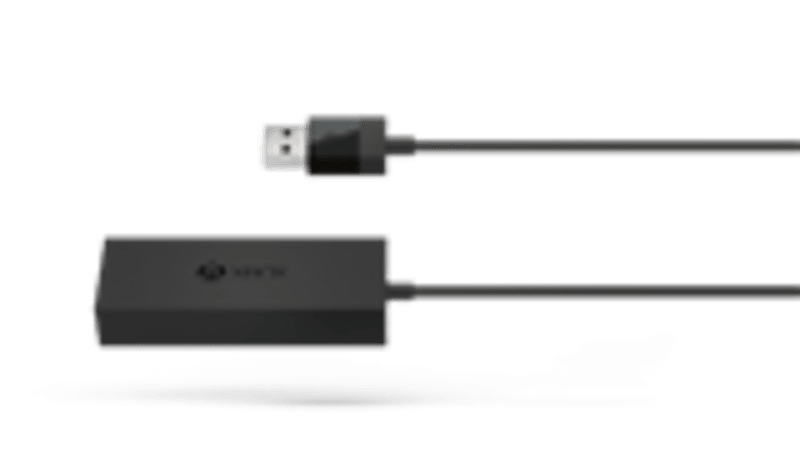 The Xbox One Digital TV Tuner provides Xbox One users with a better over-the-air digital terrestrial TV experience through the USB single tuner, an alternative to accessing TV content from a cable or satellite set-top box connected through the HDMI-In port. Additionally, the new digital TV tuner will also support free-to-air DVB-T, DVB-T2 and DVB-C television standards. TV Playback in Snap Mode: You can watch TV using the Snap mode, watching TV on the side and leaving the main screen for games, Skype, or other applications. Pause Live TV: Pause your favourite show while you get up to take a break. TV Listings in OneGuide: TV listings will be available in OneGuide. Say “Xbox, what’s on BBC One?” to quickly navigate directly to that channel’s listings*. Favourite Channels in OneGuide: Create your own personal favourites in OneGuide so you can easily choose what you want to watch. Channel Tuning by Voice: OneGuide allows you to call out your favourite TV channel by name and start watching it instantly. OneGuide on SmartGlass: Now you have access to the full OneGuide on the new SmartGlass app with the ability to tune channels on your TV. TV On Demand: TV listings in OneGuide will indicate which shows are available on demand from video apps. Stream Live TV: Stream over-the-air TV to other devices within the home using the Xbox app on Windows 10 devices or the Xbox One SmartGlass app on Windows, Windows Phone, iOS or Android, even while someone else is playing a game on Xbox One.